Leave the details to us. Multiple services. Flat monthly rate. No Surprises. Mother Nature throws curve balls. When something comes up, we’ll take care of it. Meticulous care happens automatically so you can love your landscape, every day. 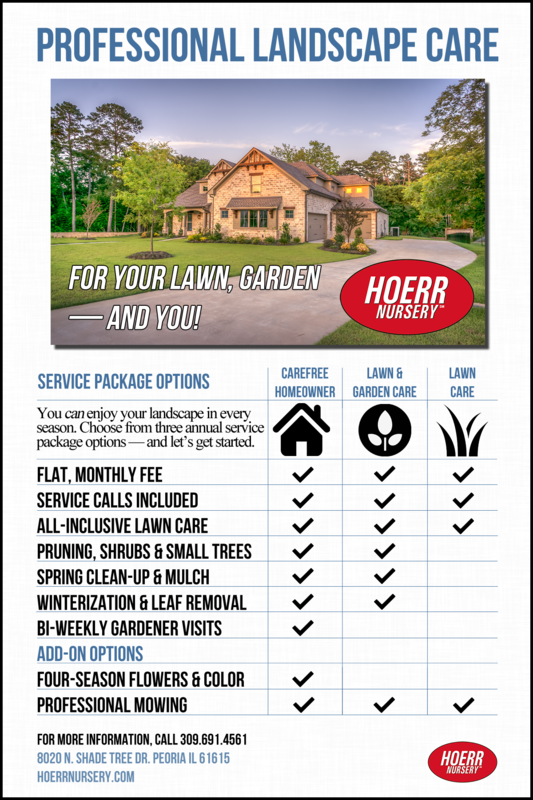 Hoerr Nursery has been around for over 90 years – designing, installing, and maintaining outdoor spaces all across Peoria and the surrounding communities. Today, we can handle virtually any outdoor project, big or small. Whether you are renovating an existing landscape for increased privacy, adding outdoor living space for entertaining friends and family, building your dream home with your dream landscape, creating a lush, green lawn, or simply looking for week-to-week TLC for your gardens… we are here to serve you. We’re here to get you started, keep you going, or have you do nothing at all while we take care everything. Regardless of your level of intimacy with your outdoor space – it all starts with getting to know YOU. We focus on your wants, your needs, and your goals so in the end, you have absolutely nothing to worry about. Everyone loves easy – and more free time couldn’t hurt either. 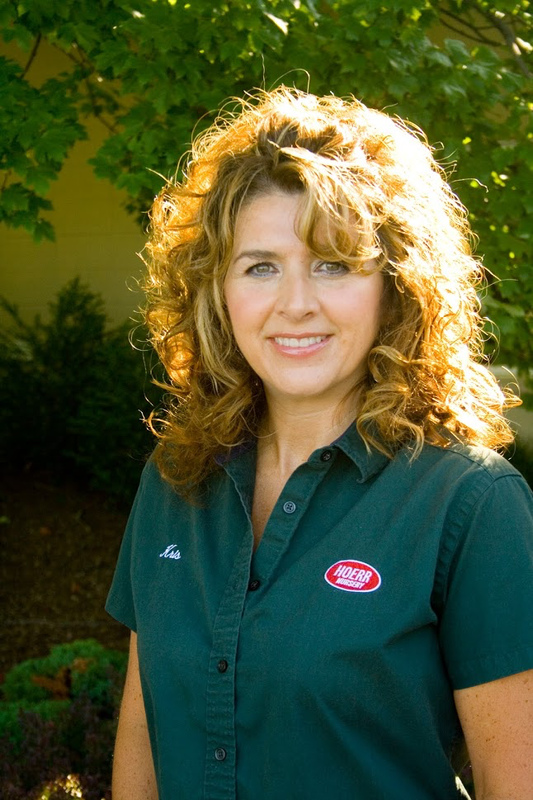 We’re glad you’re here, and we invite you to learn more about the landscape services we offer. Select the category to the left for additional information about our services. Of course, if you have any questions, please contact us and we can set up an appointment to discuss your landscape needs.